You get a mess of NES games with your Nintendo Online subscription, but not all of them are worth your time. If you purchase a Nintendo Switch Online plan, you also get unlimited access to a library of NES games. Nintendo will continue to add titles to this library, and we might (hopefully) get the option to play retro games from other Nintendo systems, too. Unlike the Virtual Console, Nintendo Switch Online doesn't charge for each retro game. Nevertheless, some games in the line-up deserve your full attention, and others can be safely passed over. Here are the "Must-Plays," "Maybe-Plays," and "Meh" of the Nintendo Switch Online NES library. While few NES games are going to gobble up hours of your time, more than a few entries in Nintendo Switch Online's NES library are worth sitting down with. We live in a timeline where EA guards its NHL license with the ferocity of a dragon hanging over a pile of gold. Take a load off, zip back 30 years, and play a brilliantly simple hockey game that eschews complicated rules and team builds in favor of "Just make a team out of big, medium, and small players." It's hockey night in Nintendoland. The late, great Satoru Iwata's take on the arcade classic Joust may not look as majestic as battle-ostriches soaring through the air, but its arguably more fun to play thanks to its weightier physics, two-balloon system, and the endless "Balloon Trip" mode. One of the great pioneers of the action-adventure genre, and still one of the best games ever made, period. Even the critically-acclaimed The Legend of Zelda: Breath of the Wild pays heavy tribute to the original game's determination to let players cut loose and explore. Yeah, you've played it to death. That’s how things should be. Super Mario Bros is platforming's King of Kings, and neglecting to mention it in the same breath as the rest of the NES' upper pantheon would be a sin. Yeah, you've also played it to death. Play it again. Super Mario Bros 3 is a wonder, especially as a follow-up to Super Mario Bros. I'm still astounded by the creativity that went into some of the game's Fortress level designs. Still one of the best racing games of all time, not to mention one of the most unique. Like Balloon Fight, Excite Bike's "heavy" physics feel good. This is a game that takes time to master, and it's worth the effort. Oh, and don't forget to build courses for your pals. Make sure they're all grass and double-decker ramps. That's the road to instant popularity. As with Ice Hockey, Tecmo Bowl is a perfectly simple football game that's a fun and refreshing option in a market where Madden is big, big business. Double Dragon has its imperfections, to be sure—including an out-of-place "levelling up" system that isn't even part of the Game Boy adaptation—but it's still a kickin' beat-em-up (get it?) with an incredible soundtrack. Here's hoping Double Dragon II makes its way to Nintendo Switch Online sometime soon. 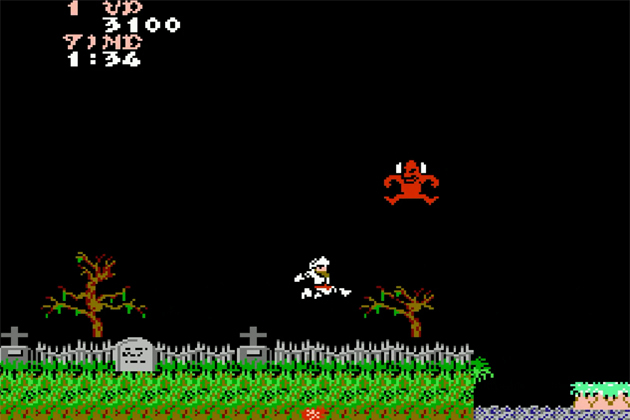 If we found a way to turn Konami upside-down and give it a good shake, crystalized chunks of the hours we put into the company's NES games would plunk out of its pockets. One of the biggest chunks would undoubtedly have "GRADIUS" stamped on it. How does this classic 2D horizontal shooter hold up? Quite well, it turns out. See for yourself. 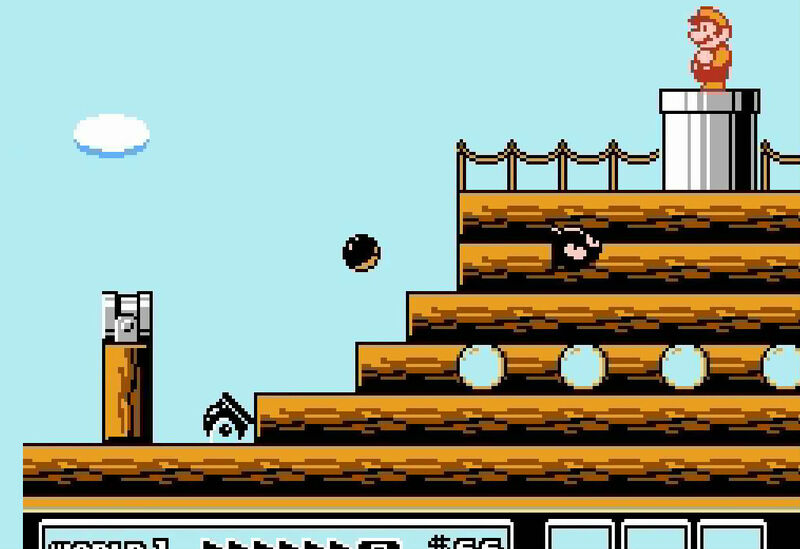 This RPG / beat-em-up hybrid is one of the most charming and ambitious NES games ever made. Its scope and sheer sense of fun even elevates it above Double Dragon. Play it again. It won't make you say "BARF" (can't promise the same for Alex and Ryan's rivals, though). As with Ice Hockey, as with Tecmo Bowl, Nintendo's Pro Wrestling has returned to bless us with fun, straightforward wrestling action. A winner is us, given the officially-licensed alternatives aren't so hot. I personally find Dr Mario's pill-popping a lot more fun and addictive than Tetris' block-matching, but I acknowledge that's a personal preference. 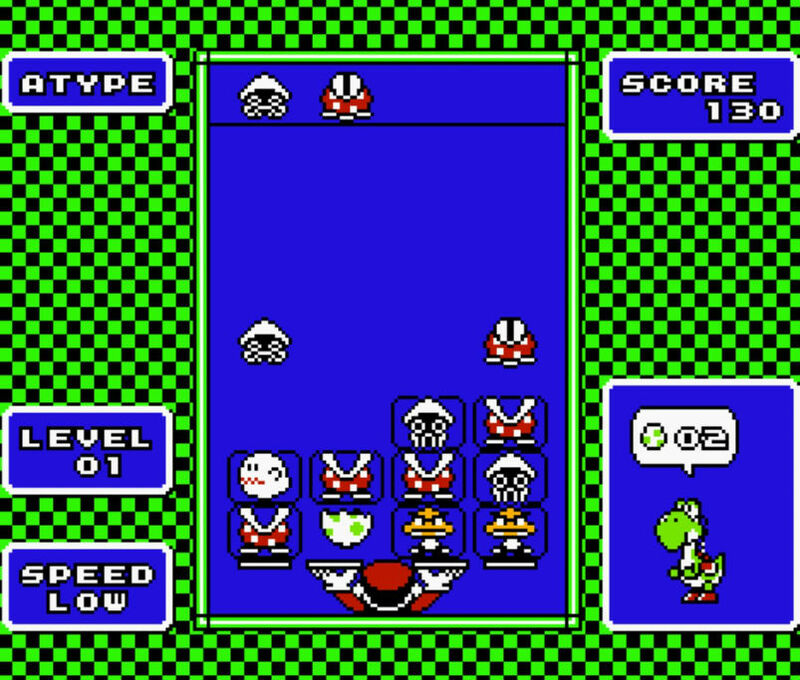 That said, Dr Mario is one of the best puzzle games on the NES whether you think it reaches Tetris' lofty heights. Catch the fever. In this category, we pay tribute to the Nintendo Switch Online NES game offerings that are…perfectly OK. They're worth pecking at if you're waiting on an Uber that's been held up in traffic or something. Well, it delivers what it promises on the tin. Tennis is utilitarian next to the likes of Ice Hockey, Pro Wrestling, and Tecmo Super Bowl, but it scratches that "vanilla digital tennis itch"—if you have one and you really don't feel like digging out your old Atari 2600 and copy of Pong. This sub-par port of Capcom's classic arcade action title isn't terrible, but you're not bound to have much fun unless you enjoy the video game equivalent of being flogged with a thorny branch. There are better ways to spend your time than getting your dignity shredded by Red Arremers that breed off-screen faster than hell-rabbits. Well, It's Soccer™. It won't hurt you or eat your family, so it has that much going for it. Sure, you can play this perfectly competent NES port of the arcade game that made Nintendo a household name. Or you can shell out a bit of dosh for the Switch port of the actual arcade release. Most of us have played NES Donkey Kong to death, which means too few of us have mastered the pie / cement factory level stripped from the 8-bit port. Noticing a trend? Don't act too surprised. While some of Nintendo's "Black Box" sports games are still excellent, others are simply functional. Take Baseball, for example. It sure is some baseball. Here we have the Nintendo Switch Online NES games that aren't really worth your time. Your hours, minutes, and seconds on this earth are too precious for this rabble. Go hug a cat instead. Your Nintendo Switch Online subscription comes with Super Mario Bros 3, which has a much more interesting and clever version of Mario Bros baked into its two-player game. Play that instead, unless you're desperate for single-player Mario Bros.
Bad Yoshi. No Cookie. I mean that literally: "Yoshi" sans "Cookie" isn't a great game. The Nintendo Switch Online subscription comes with Dr Mario, a far better puzzler. The Super Smash Bros series is a wild celebration of Nintendo, its fans, and video games in general. It's one of the best franchises to come out of modern gaming, and it constantly breathes new life into characters who'd otherwise die forgotten, like Ice Climbers' Popo and Nana. The trade-off is Ice Climbers for the NES isn't allowed to simply…fade away like other D-tier Black Box games. Visit our Nintendo Switch Online guide for plan pricing, news, information, and everything else you need to know about Nintendo's online service! Tagged with Articles,	features,	NES,	Nintendo,	Nintendo Switch Online,	Retro.